The Konjac Eye Cleansing Pads are the kindest way to remove make-up and delicately exfoliate the eye area, they are also completely reusable! 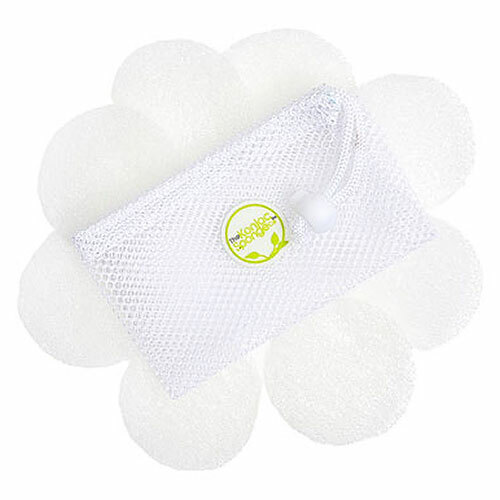 The kit contains 8 cleansing pads, a mesh drying bag and a soft clear travel pouch. The pouch is designed for when you are on the move, so remember to hang your damp pads out to dry between uses. The Konjac Eye Cleansing Pads are additive free, help balance pH levels and are suitable for sensitive skin, leaving the skin feeling radiant and rejuvenated. The wafer-like circles of 100% pure konjac fibre should be hydrated under warm water and then gently squeezed out. Add a small amount of your favourite cleansing products to remove your makeup. The pads should then be rinsed out and popped into the mesh bag that comes with the kit, and hung to air dry. It`s just like having cotton pads, but with greater benefits to you and the environment. Never leave the pads in the shower or in a pool of water. Your Konjac pads are 100% natural vegetable product and should last 2 to 3 months. Once they start to look tired and/or break down, replace them. The Konjac pads can be safely composted or used in the garden to help water your plants by holding moisture. Never leave a child unattended with a Konjac pad. Below are reviews of The Konjac Sponge Co Eye Cleansing Pads - 8 Pads by bodykind customers. If you have tried this product we'd love to hear what you think so please leave a review. 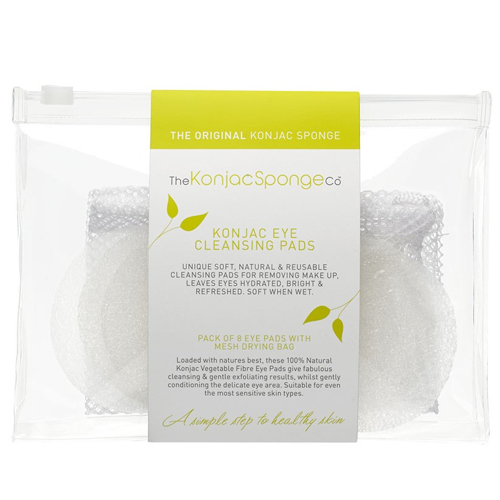 The Konjac Eye Cleansing Pads are the kindest way to remove make-up and delicately exfoliate the eye area, they are also completely reusable!